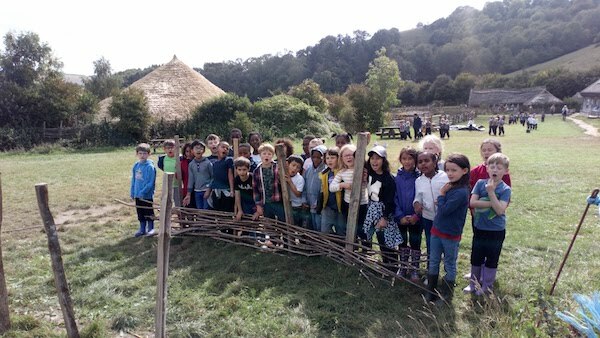 Children from year 4 enjoyed an unforgettable school trip this week to the Ancient Technology Centre in Dorset to experience life as a viking! The children took part in a range of immersive educational activities including grinding flour and making bread, picking vegetables and chopping them into a stew, and making their own cheese and butter. And that was just in the morning! In the afternoon children made bricks from chalk, chopped wood, tended the vegetable garden and played viking games. The children lived and slept in a viking long house, enjoyed stories and songs around the fire and thoroughly enjoyed themselves from start to finish. The children will return to school next week full of inspiration and knowledge. Thank you to the children for behaving so well and to the adults who volunteered their time to make the trip possible. Posted in English - including poetry, History, Literacy, Science, Year 3 & 4Leave a comment on A Viking Adventure! Group 2 have had a brilliant day – hard work, cooking, flickering fires and now hushed conversations or listening to the VIking Storyteller as he sends us to sleep with tales of Thor, Odin and Loki. Butser Ancient Farm – Bringing History Alive! Posted in History, Year 3 & 4Leave a comment on Butser Ancient Farm – Bringing History Alive! Vi nyder os som vikinger! The second group arrived this morning at the Ancient Technology centre and have already had a busy day. 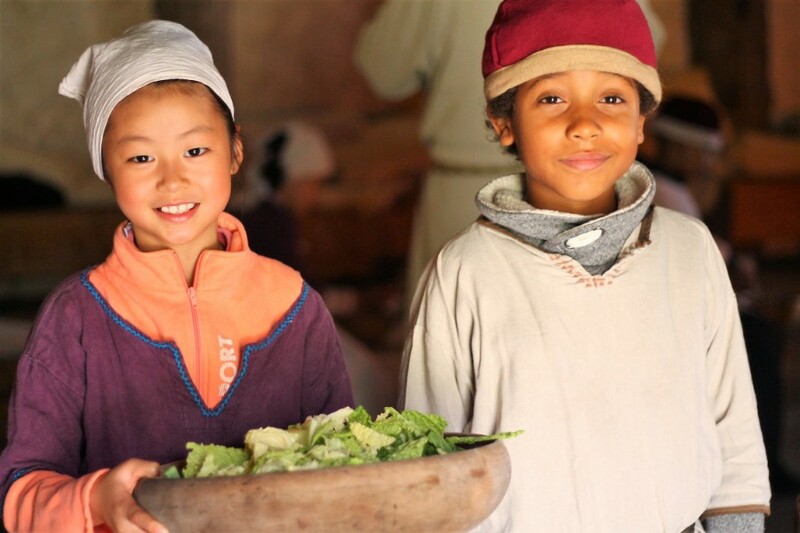 They have learned how to start fires and manage the flames, harvesting the autumn crops and helped the farmers get ready for winter. Dinner is now cooking! We are having such a lot of fun whilst learning a lot about the day to day lives of Viking settlers in England. Posted in History, Year 3 & 4Leave a comment on Vi nyder os som vikinger! Posted in Celebrating Learning, History, Year 3 & 42 Comments on We are Vikings! Well done to the pupils of Micawber class for their thought provoking assembly on the history of India and the role of Gandhi in leading its independence. Pupils did an excellent job of telling the life story of both country and Gandhi through drama including freeze frames. We learnt about the role that salt played in this tumultuous time and the close links to the history of the USA. Fascinating! Thank you Ms Alcock and the Micawber class adults for your support. This week Year 5 visited the National Archive in Kew as part of their Borough and the River Thames topic. The children took part in a workshop named ‘Mapping the City’ which involved studying maps of London dating back to the Tudor period and noticing the great changes the city has undergone in the last 500 years. Studying the maps led to lots of discussion about how modern life is different from that of earlier time periods, and a debate about which time period would be the best to live in. After the trip, the classes walked back along the Thames to Borough Market, which gave them the opportunity to make comparisons between the maps they’d seen and the real, living London. Congratulations to Year 3 and 4 for an excellent winter show. The children worked with Arts residency team to create the songs, dances and costumes to bring to life the autobiography of Floella Benjamin. Year 5 and 6 were treated to a fact filled performance by cast from The Horrible Histories. As the children sat down the simple props (a placard stating ‘On the brink of War’ and khaki trench coats) set the scene for a creative learning experience. This term’s topic is Britain at War and the show talked the children through the stages of World War I, informed them of all the countries involved and worked up to talk about the impact on numbers of people who were injured, killed or missing in action. Despite such challenging content, the cast delivered it in a way that made it accessible and engaging. Thank you to our friends at The Ministry of Fun for organising this performance.